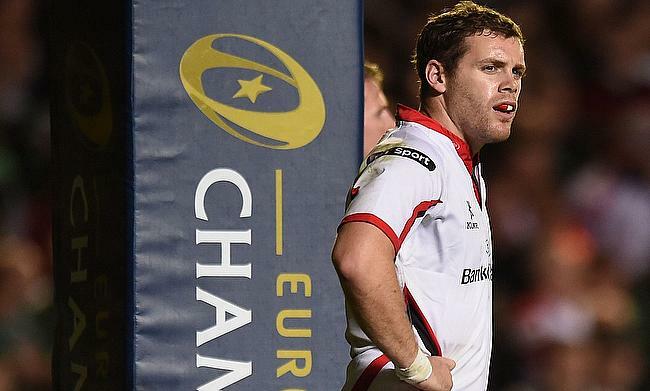 Ulster centre Darren Cave has announced that he will retire from professional rugby at the end of the ongoing season. The 31-year-old has been with the Belfast outfit since his professional rugby debut that came in 2007 and has racked up 225 appearances for the club since then. The news was confirmed by Cave in an open statement released by Ulster. “Many people have contributed massively to help me along this journey, far too many to name,” he wrote. “Thank you to my friends, coaches, medical staff, S&C staff and all the other staff and management at Ulster Rugby behind the scenes that gave me the opportunity to be the best player, and person, that I could be. “I’ve no idea how many team-mates I’ve had over the years but thank you to all of them, it’s been an absolute pleasure. I have made some friends for life. Cave has played 15 Tests for Ireland between 2009 and 2015 that also included a solitary appearance during the previous edition of the World Cup. Ulster currently are at the second position in Conference B table of Pro14 with 11 wins from 18 games and will take on Glasgow Warriors next in round 19 at Scotstoun Stadium on 6th April.